While everyone enjoys a nice example of love, paying it forward and good ‘ole compassion for other human beings, I think we can all agree that in light of recent events in our country, these stories have an even deeper, more profound impact now. As I was scrolling through my social media news feeds the other day, a particular post with the tagline ‘Fighting human trafficking with eyes in the sky’ caught my attention. The link directed me to the beyond moving and incredible tale of Sheila Frederick, a flight attendant with Alaska Airlines, whose keen intuition and swift actions on a flight years ago most likely saved the life of a young girl. Upon noticing a disheveled, distressed teenager on a plane traveling from Seattle to San Francisco with an older, extremely defensive man, she became suspicious. She managed to convince the girl to go to the bathroom. There, on the mirror waiting for her, was a handwritten note from Sheila. The teenage victim wrote back on the note indicating that she needed help and rescuing. The pilot was alerted, and shortly thereafter, the authorities were as well. When the plane landed in San Francisco, the cops were waiting in the terminal to apprehend the bad guy. Raise your hand if you’re eagerly anticipating the inevitable, ripped-from-the-headlines Law & Order: SVU episode inspired by this tale…. 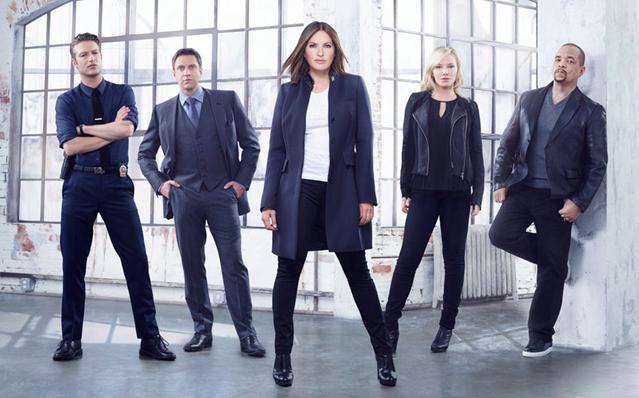 Detective Olivia Benson and her #squadgoals would majorly slay this material.